—-Itabag Palace….more info….Why is it SO expensive? Charms, straps and other merchandise does account up to all the costs and believe me, I’ve spent over 100 dollars on the charms etc; not including the bag itself which was 70 + shipping but to me, it was a perfect way to show my fandom. My fandom is Sailor Moon, Dot Hack, Danganronpa and Code Geass, so I did my best to capture this in my bag. The second: the bags itself. There are a number of bags from different places and each vary in quality so it is important to get official bags from WEGO and TOO Alice to name a few because they last longer and they can protect your merchandise better, of course, there is a clear cover the charms but depending on the bag, you pay the price for the quality of it. I prefer places like Aitai Kuji, YYKawaii (only on Instagram as they don’t use their website anymore) and that’s just a few places but avoid Amazon, Aliexpress if you wanna get a good bag because they tend to have horrible quality and the mileage may vary. 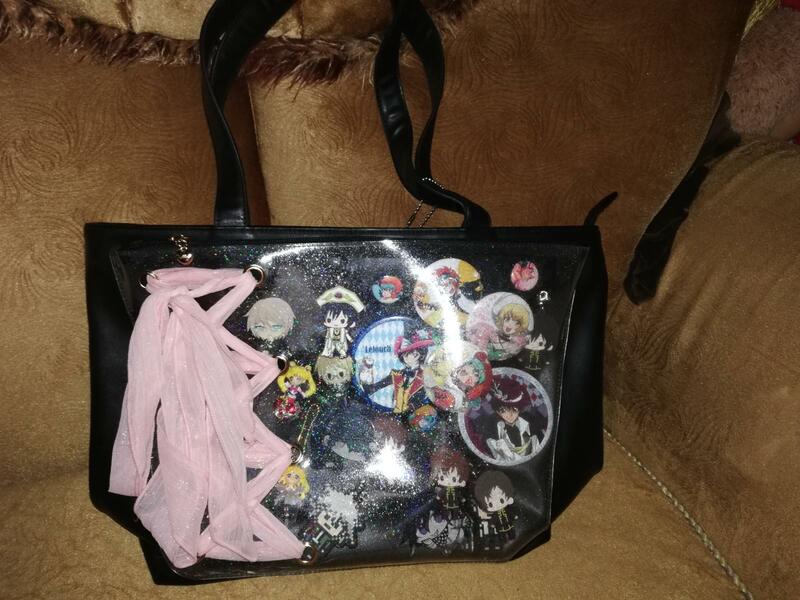 The merchandise can be charms, straps, plushes etc; and I usually love using proxies like FromJapan that can order straight from Japanese websites like Otamart, Amazon Japan, etc; but know if you go that route, be prepared for a lot fees including shipping ones from proxy services but in the end, how in the hell will you decorate your Ita bag without the main ingredient? 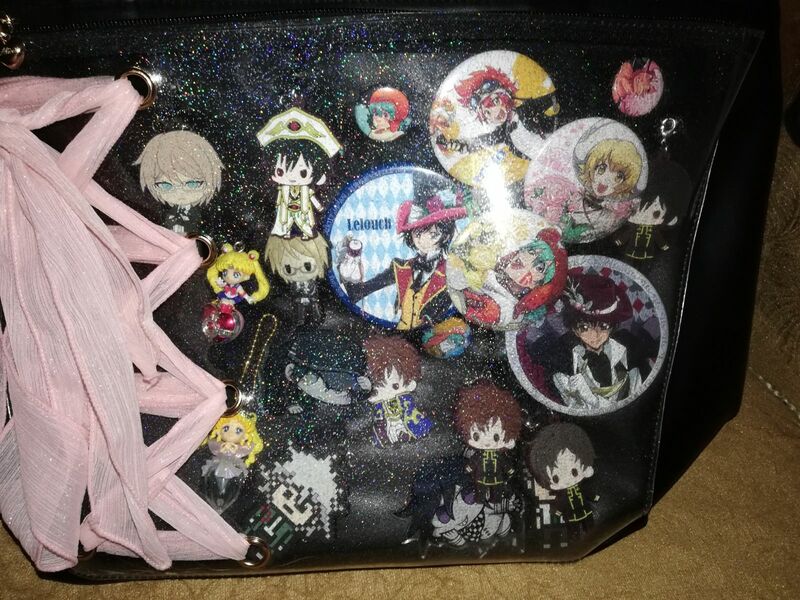 It doesn’t hurt that you find merch online and it doesn’t have to be official either, so go wild with decorating your bag, but it’s always good to have an idea on where to place your merch inside the front pouch, and maybe you can practice on where you will put your charms on. You can also get merch from places like Etsy, Amazon, Mandarake (which uses Yen, so find a reliable converter to help you to find what it costs in your currency). 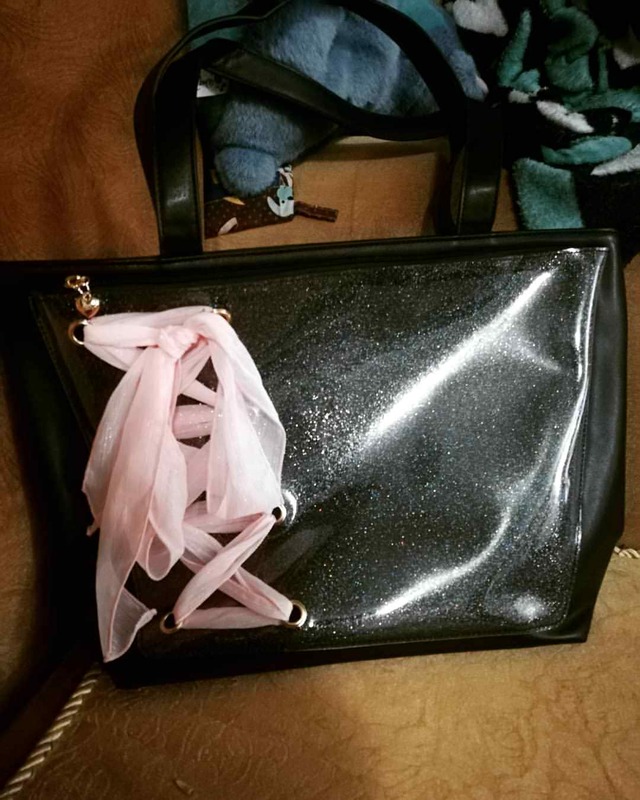 I use a Too Alice Tote Bag in black with pink ribbon to put my charm in which I got from YYKawaii for about 70 dollars plus shipping and the merch varies between a set costing 40 dollars to 15 dollars but each cost something expensive and since my husband knows that I’ve done this, it’s fine. My questions now: will you ever make an Ita bag? If not, have you seen them around and if not, what do you think about them? I love these kind of bags!!! So glad more and more westerns are using them!!!! Perfect way to showcase nerd power!!!!! Posted on September 7th, 2018, at 2:21 am by Mija. I always thought these were cool! I wouldn’t mind making one…someday! Posted on September 12th, 2018, at 8:51 pm by Megan.